Are you looking for a reliable partner to fill your vacancies in the chemicals, food or pharmaceuticals sectors? If so, CheckMark Labrecruitment is the recruitment partner for you. Filling complex vacancies in a generally scarce market for real specialists is an art in itself. We will be happy to help you in your search for the right professional. At CheckMark, we combine our thorough professional knowledge with a pragmatic feel for recruitment and human resource management. We have been working successfully for 20 years based on our specialism and we do what we promise. Which means you are opting for quality and reliability. We will find the right candidates for posts in the lab or in process development, production, QA, compliance and customer service or sales for you. Choose from over 10,000 specialised candidates from the CheckMark network. We will make sure you quickly get in touch with the candidate you want, allowing you to select and recruit the right candidates fast. 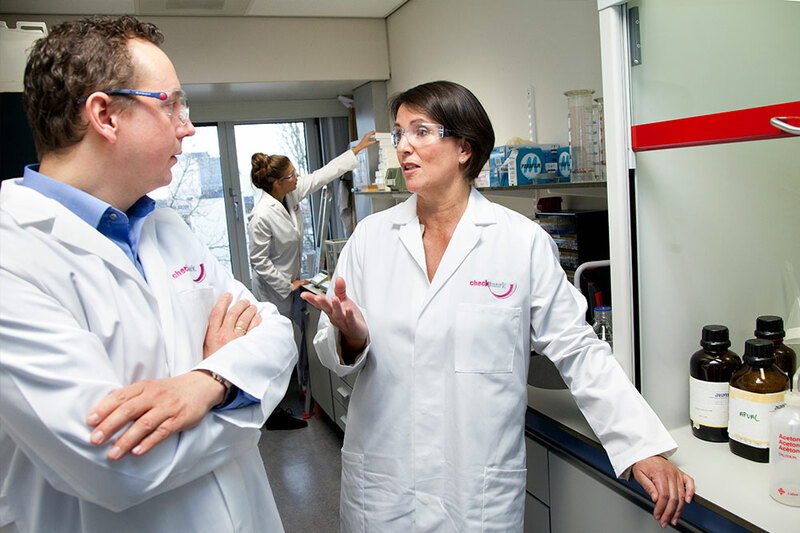 Our network includes laboratory managers, scientists, analysts, QA specialists, bioprocess engineers and operators at intermediate and higher-level laboratory trainee, graduate and PhD level. Checkmark Labrecruitment has been leading the way in recruiting laboratory personnel in chemistry and the life sciences for 20 years. All our recruiters have a background in this industry at university of applied sciences or university level. As a result, they understand better than anyone what skills are important for your organisation and what knowledge the candidates must have. In addition, our recruiters closely follow developments in the industry, which means they know what’s going on and can give you the best possible advice. We can offer you seconded staff for temporary projects, secondment with the option of a permanent employment contract and recruitment & selection assignments (direct hire). In addition, the new talent in our Analyst Development Programme may provide a perfect addition to your lab team. The ADP is a secondment programme for talented young higher-level laboratory trainees. Click on the link to read more. During the secondment project, we will maintain contact with you and with the employee. Together with you as the client, we will look as how the process is going and we will respond quickly to your requests or enquiries. You are therefore assured of our timely support, and therefore of a hassle-free project. Stay up to date with our activities, salary developments within the industry and attractive candidates! Sign up for our newsletter. This will also give you access to various white papers. Among other things, these include the results of the annual laboratory salary survey. Do you have a vacancy we can help you with? If so, please feel free to contact us. Would you like to know more about how CheckMark works and about our network? You are very welcome to get to know us in person. We will be happy to discuss the options with you. Contact us direct or leave your details and we will call you back.